ORLANDO, Fla. — The home is beginning to look a bit like a doctor's office, albeit a futuristic one. Blood pressure cuffs transmit readings via WiFi, numbers from connected scales are displayed on tablets, and screens beam patients to their doctors in two-way video conferences. Vendors showed off these technologies and others at the Healthcare Information and Management Systems Society conference, where the curious could learn about connected health not only at booths but in a model “smart medical home” hosted by the Intelligent Health Association. There, said a tour guide, visitors could catch a glimpse into the “community of care” that will one day exist as patients' data are shared with their doctors, their neighbors and their families. Smart TVs and tablets sat on tables, and WiFi access points graced the walls. This kind of setup, he said, will allow “people to age in place” and avoid moving to nursing homes. The din of the conference hall was too much for Healthwise's Amazon Echo to handle, but the company assured me that its Alexa integration, run on the Orbita Voice platform, works well. Ask Alexa about the symptoms of low blood sugar, for instance, and it'll pull from Healthwise's database of 8,000 articles. Quick access to this kind of reference information prevents readmission, the company said, and helps patients remember appointments and medications. Healthwise's service should be available within the next six to 12 months. Andrea Blum, director of Healthwise's print and translation services, says she's not sure whether the service will be covered by insurance yet. Also upcoming is a health-data-capturing ring made by Sensogram Technologies. It's a successor to the company's Sensoscan, a fingertip sensor that tracks continuous blood pressure, respiration rate, oxygen and heart rate, then transmits the data to a mobile phone, which sends the data to an online portable. Getting that kind of data is key to keeping patients out of the hospital, said Joe Kirkland, CEO of TeleMedical Partners, the North American distributor for Sensogram. Philips is also bringing healthcare monitoring to patients' homes in an effort to keep them out of the hospital with “real-time triage and interventions,” said Jeroen Tas, chief innovation and strategy officer. To do that, there must be a combination of in-person and virtual coaching. Tas admitted that this kind of care is, right now, a relatively small market. But data-driven healthcare is the direction the industry is moving in, he said. Philips will develop its at-home technologies in a partnership with Banner. Its Lifeline monitoring service, which costs a patient $29.95 a month, is not covered by Medicare. All these data raise the question of liability and privacy. 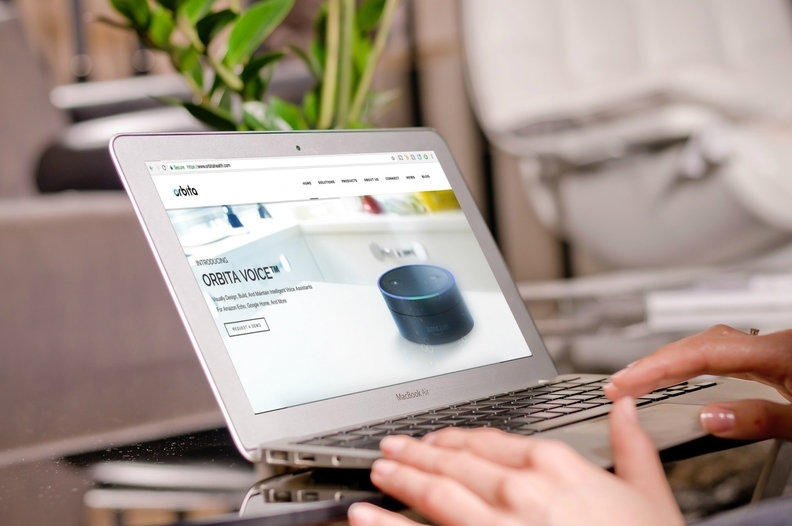 Some companies, like Orbita, anonymize the voice data it receives from Alexa before running it through its system.